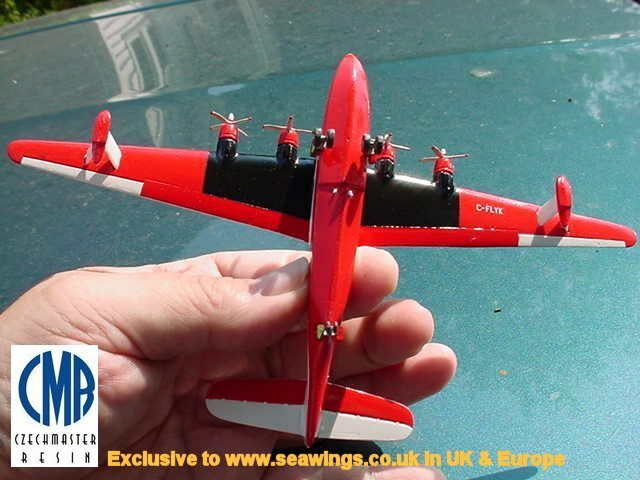 Exclusive to SEAWINGS in the UK and Europe only - by special arrangement with West Coast Hobbys of Canada - this superb limited edition resin kit, specially commissioned from Europe's leading high-quality resin kit manufacturer, Czech Master Resin, is not available in any model store...!! 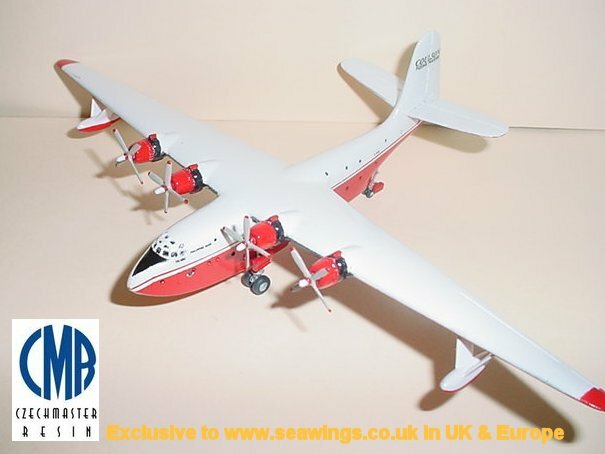 Consisting of 16 high quality resin parts, this 'gem' of a kit is extremely well detailed and makes up into a fine scale model that will look good in any collection or as a stand-alone desk top model on your desk at work or in your study. 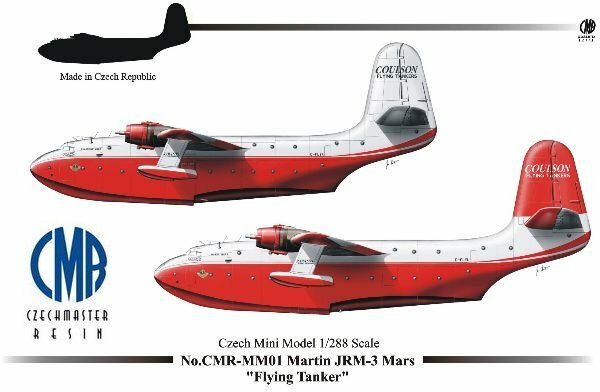 Supplied complete with comprehensive instructions for assembly, painting and decaling using the supplied accurate decal sheet featuring two different JRM-3 Mars tankers; Coulson Flying Tankers C-FLYL 'Hawaii Mars' and C-FLYK 'Philippine Mars'. The painting instructions call-out the correct FS numbers for the Coulson company scheme. SEAWINGS say's....."Or, you can assemble it, sand it down, undercoat it and spray it overall gloss silver or gold for that 'metallic' finish, then mount it on a base and pole just like the original desk-top ornaments...!!" Remember, this kit is NOT available in the shops..! !